This 1ml sample was a free sachet sample in a magazine. I do like trying out foundations this way, it can be a great way to see how a foundation works for you before shelling out your hard earned cash. 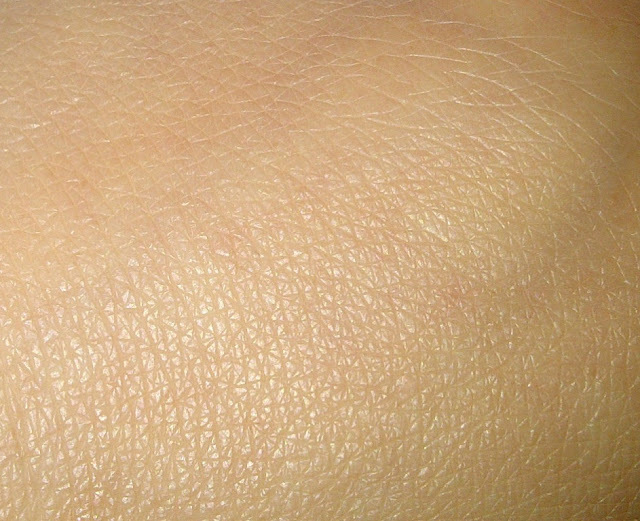 With age skin can becomes dull and tired. Lumi Magique helps give instant skin radiance. You will be glowing inside and out. Light texture lets skin breathe with 24 hours of hydration. I have to admit that in the last few years I have become a little addicted to the radiant look, I love face highlighters and any make up that helps to give me that all important healthy 'glow'. This shade was a bit too dark for me really however it meant I just had to blend well to avoid the tell tale tide mark dark line. I warmed up my neckline with bronzer but it also meant that I didn't have to warm up my face with a bronzer which I normally do. 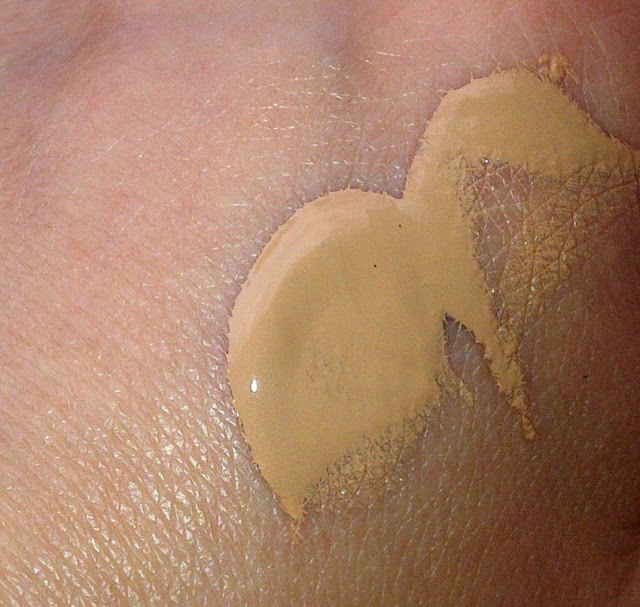 I managed to get 3 applications from this foundation sample. 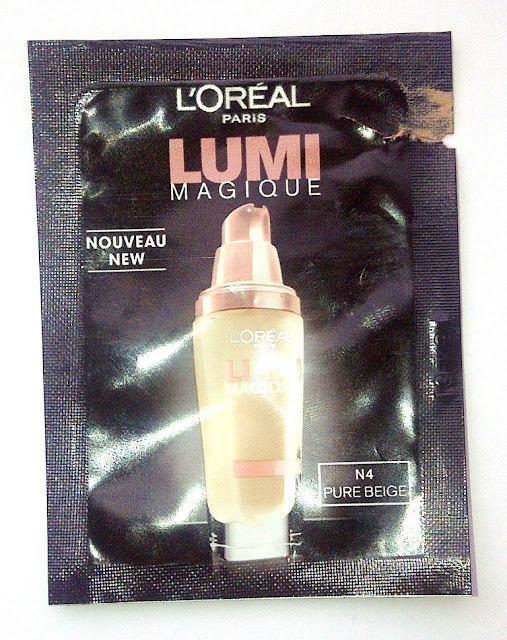 The first time I used this foundation my skin was looking tired and dull so an ideal time to test out the claims of providing radiance from within. The foundation is a runny liquid and glides on feeling incredibly light and comfortable on the skin and looking very natural. Coverage is a decent light-medium and is buildable. I found that it evened out my skin tone, smoothed it out and provided a real healthy 'glow' and radiance to my skin which was really rather nice, considering how dull my skin had looked moments before. The foundation lasted for about 6 hours with no powder or primer. The only thing I would say is that my skin is normal/combination and I did notice that as the hours went on I did get an oily t zone and felt that it was starting to look a bit shiny although others said it didn't look like that to them but more dewy. Personally I wouldn't say this would be great for people with oilier skin but ideal for those with normal skin. I really liked this foundation, especially the way it lit up my face when the light hit it. As a budget foundation this is one worth considering. i just bought this foundation today and i cannot wait to try it!! !